QA Adjusting Company is a well established and locally owned Independent Adjusting Company that is licensed in and provides claims services in Manitoba and Northwestern Ontario. We have immediate career opportunity for an experienced Property & Casualty Adjuster. The successful candidate will be expected to conduct investigations and interviews, complete site inspection, review coverage, communicate with all parties to a claim and provide formal reporting to clients. Although some training will be provided, a successful candidate must have some level of training in the adjustment and handling of claims as an Independent, Public, or Company Insurance Adjuster. While we are currently seeking an experienced adjuster, QA is growing. An applicant with limited experience may be considered if the fit is right. QA Adjusting Company provides competitive renumeration and excellent benefits. Our firm provides plenty of opportunity for advancement through various levels of Insurance Adjusting through combination of on-site mentorship and encouraging, supporting and funding continued education opportunities. 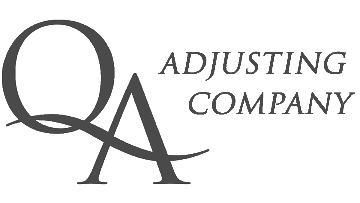 QA Adjusting Company provides an environment conducive to the growth and success of our adjusters. If you are interested in this position, please submit your resume in confidence to cmalkoske@qa-adjusting.ca.